For an authentic retro lounge experience The Pepper Lounge Cocktail Bar in downtown St. Louis offers energetic music, VIP bottle services, and special offers for personal celebrations. Opened in 2002 in downtown St. Louis, this Night club Cocktail Bar offers patrons a unique retro lounge experience. 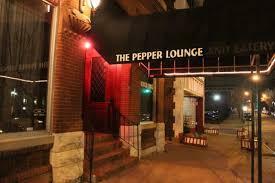 True to the tradition of the 1950s when lounges were warm and inviting but full of life, The Pepper Lounge is the only true retro lounge in downtown St. Louis situated at 2005 Locust Street, St. Louis, MO 63103. The warehouse that now houses the lounge was originally built in 1889 and the old interior has been transformed with the tasteful use of rich wood and warm colors into a perfect representation of a traditional retro lounge. The unique lounge atmosphere created throughout the venue easily flows out onto the extended outside patio. Lounge hours are from 9 pm to 3 am on Fridays and Saturdays and from 10 pm to 3 am on Sundays. A VIP bottle service and classic cocktails are served to keep the party going far into the night or the early hours of the morning. The theme is “Live. Love. Lounge.” and the bottle service menu includes all the top brands in spirits as well as Cordials, Pearl Vodka Flavors, Sunday Skool Specials, and Champagne. Bottle Service Packages are offered for special occasions such as birthdays, bachelor and bachelorette parties, and other celebrations. Open-format, energetic mashups, and lively party music is delivered by the best DJs in town to keep the party rocking and moving. Regular events include International Fridays when The Pepper Lounge hosts the hottest international open bar parties with hot DJs spinning the top international, e.d.m., and Top 40s music. Sunday Skool parties exclusive for the industry are held every Sunday night at The Pepper Lounge when workers in the nightclub, restaurant, and bar industry can come and party with their own.